Lorna has earned an enviable reputation among her clients for achieving immediate behavioural change. Her dynamic personal style and no-nonsense advice help individuals and groups to increase their impact both face to face and when presenting. 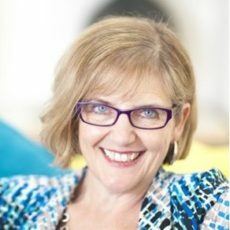 Lorna helps individuals to define their unique personal brand and to bring this to bear to increase their impact and influence when communicating, whether in small groups situations or to larger audiences. Lorna is positive, dynamic and engaging in everyday life and she brings this energy to her coaching. She is typically straightforward and direct in her communication and unafraid of challenging her clients, regardless of seniority. Her background in marketing and sales at companies such as Cadbury and Cussons provides a solid commercial platform in senior corporate environments. She encourages her clients to immediately put her guidance into practice, often in front of a video camera. The result is a no-nonsense approach with specific feedback, immediate results and a clear action plan. Lorna has been coaching for over 20 years and has experience of a wide range of industries, particularly financial services, food and drink and healthcare. She is comfortable working with people of all levels and is often called on to address urgent people issues. Her clients include RBS, Lloyds Banking Group, Royal College of Nursing, Diageo, Hilton Hotel and Skyscanner.